-	Thanks to caller ID, you always know who’s contacted you, even if their number isn’t in your address book. -	The app can also automatically block known and verified advertising callers if desired. -	Restaurant reservations: find and reserve a table quickly and easily at more than 4,000 restaurants throughout Switzerland, including details on which restaurants still have space at your preferred time. -	Booking platform: send booking inquiries to more than 25,000 companies throughout Switzerland. -	Telephone directory: find the telephone numbers and addresses of individuals and companies in Switzerland and Liechtenstein, including their locations on the map. -	Calls: make calls and see your recent call history. -	Proximity search: find useful locations such as ATMs, petrol stations, car parks, public toilets or hotspots, including their locations on the map. -	Special offers: take advantage of special offers from various companies. Seit dem Update kann ich es nicht mehr öffnen. Wer auch? 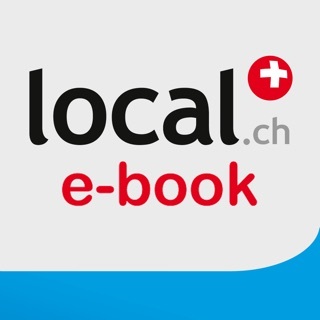 Local.ch simplement la référence, facile à utiliser, à jour et surtout complet, avec des offres et info dans "Alentours, c'est vraiment génial Bravo !!!! Grâce a la fonction qui permet de bloquer les appels publicitaires, je ne suis plus dérangé par ces appels intrusifs. L'aps fait bien sont boulot ! !